Since its introduction in 2008, PPC Pharmacy has outgrown two locations in the Philadelphia area, resulting in the present, newly expanded storefront and state-of-the-art compounding laboratory in Hatboro, PA.
All of PPC Pharmacy’s employees are trained and certified. 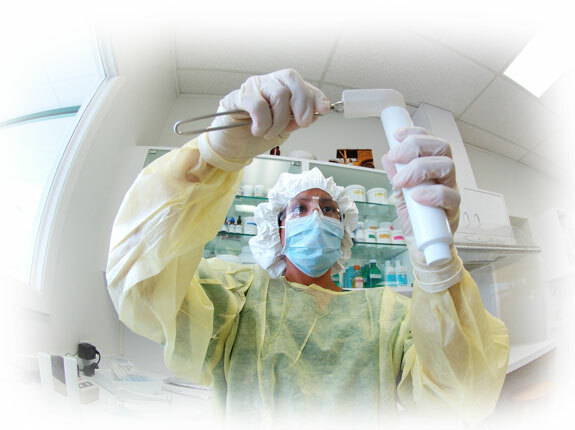 Using the most current techniques and highest quality ingredients, PPC Pharmacy assists doctors in providing fundamental care for each individual; whether a patient needs a specialized dosing, an uncommon dosage form, an allergen-free, dye-free, or preservative-free medication, PPC Pharmacy can help. Every PPC compound is formulated by a registered pharmacist, allowing for accurate and precise medications. PPC Pharmacy prepares non-sterile compounded prescriptions for patients according to doctor’s orders. The patient-doctor-pharmacist triad is paramount at PPC Pharmacy. After thorough discussion with the patient’s doctor, the compounding pharmacist contacts the patient to verify demographic details, addresses any specific concerns, and consequentially fills a patient’s prescription. The completed medication can either be shipped directly to the patient’s home or picked up in our lab. PPC Pharmacy also provides medication services for workers’ compensation, auto injury, and personal injury patients. Our integrative team approach to patient care is what separates us from other pharmacies. As a vital part of the injured individual’s team, we work with patients, physicians, and attorneys to ensure that every individual receives the quality care they deserve. "They fill prescriptions for my rabbits because my vet is too far. They are always ready in a timely manner. I have been very happy with their service. And they are always willing to give me extra syringes (rabbit antibiotics get sticky and gum them up)." "This pharmacy was able to mix up a special drug for my infant. Philadelphia Compounding Pharmacy was very helpful over the phone and worked with me to help suit my daughters needs. Every time I called I was able to speak directly with a pharmacist and get my questions/concerns answered." Scott enjoys spending time with family, traveling and coaching little league sports. Jaime enjoys spending time with family and pets, sewing, knitting and baking. Melissa enjoys spending time with family. She likes making medicine that helps people and pets. Erica is a full-time nursing student who enjoys the arts and is dedicated to patient care.